Thanks, Max Tsukino! I'm anxious to be inside Altice Arena!!! ? Does anyone know if there's Red Zone on both sides of the stage? 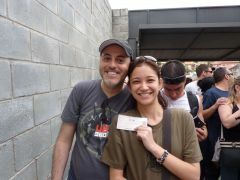 A friend of mine is selling her ticket for October 21st gig: Pista, R$ 500,00. If you are interested, please, send me a message. Stay is one of my favorite songs... This will be my 6th U2 gig and I've never heard it live I know the probability of having it on the setlist is low, but I'm keeping my fingers crossed! That's great! We also attended I&E tour at Amsterdam! I'm glad we managed to go to Amsterdam, since there wasn't any I&E concert in Brazil! That was a great tour... the best one for me! Hello! This will be our first time in Dublin, so my husband and I would like to visit locations related to the band and enjoy a full U2 experience! Any suggestion or thoughts about U2 walking tours in Dublin? 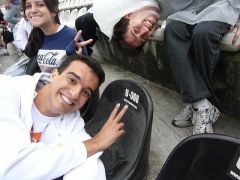 The best seat of Morumbi, on U2 360 April 9th. 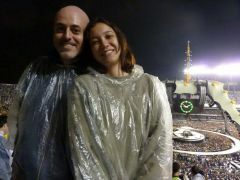 U2 360, there we go again! Once again. This time it was nearer home São Paulo, April 9th. 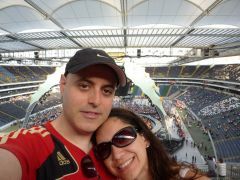 From Brazil to Frankfurt, only to be with u2 on our honeymoon. August 10th, 2010.